NUM PREPARED TO SIGN WAGE DEAL! The National Union of Mineworkers (NUM) resolved to sign Eskom’s three-year wage agreement provided the power utility doesn’t press ahead with its intention to discipline employees, the union said. The union is “ready to sign the deal anytime,” NUM President Joseph Montisetse said in an emailed statement. “On the issue of taking disciplinary action against our members, we are saying the matter could be resolved outside the bargaining unit,” he said. Eskom has agreed in principle with the unions on salary adjustments of 7.5% in 2018-2019 and 7% in both 2019-20 and 2020-2021, according to the union. “The NUM wants to make it clear that it is against any move to dismiss any worker,” it said. Eskom declared a dispute with its biggest trade unions after they refused to sign a new wage deal unless the company agreed not to discipline workers who participated in illegal strikes. 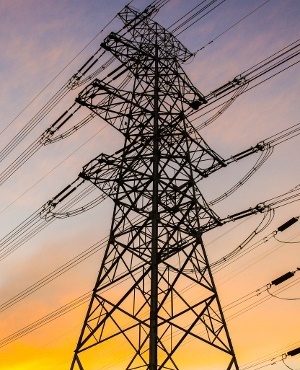 Eskom workers aren’t permitted by law to strike, but the company was forced to implement load shedding and reported damage to systems and equipment when talks stalled.